After the dissolution of the abbey in 1539 the Glastonbury estates became the property of the Crown. Edward VI granted them to Edward Seymour, Duke of Somerset in 1550. (see page '1610 Senior' above) After his execution they passed to the Dukes of Devonshire, remaining in their hands and then those of the Countess of Essex until bought for £50,500 in 1799. George Cox was briefly a part owner. 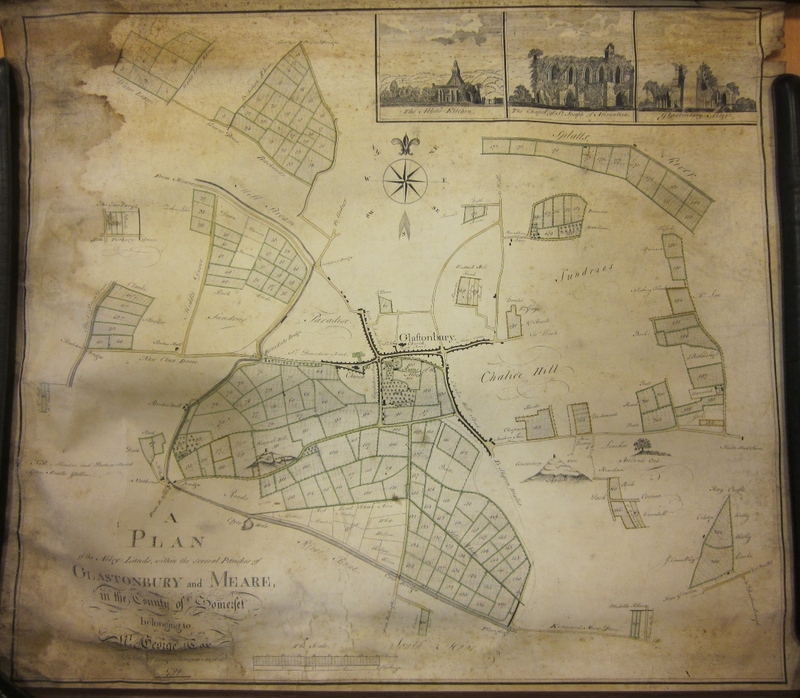 This estate survey is of the identical estate to that detailed in 1610 in a survey for the Earle of Devonshire. The built up parts of the town are shown schematically. It is possible to identify the market cross and the market hall, the conduit and watering trough at the top of the High Street, the two churches and the manor house standing across Northload Street. This had been the home of Peter King which may account for the name of King Street to the east leading into Manor House Road; plot 61 is Landmead. The main dwelling in the estate was The Priory (Abbey Grange) in Magdalene Street which had been built with materials from the Tudor abbots' lodging when it was demolished in 1710. The Anchor Inn (lately Tor Schoolhouse) is shown at the foot of Well House Lane and to the east of the Tor are Lynches, Aveland Oak (an ancient boundary marker south of Stone Down Lane) and at the end of the lane is Norwood Park Farm. 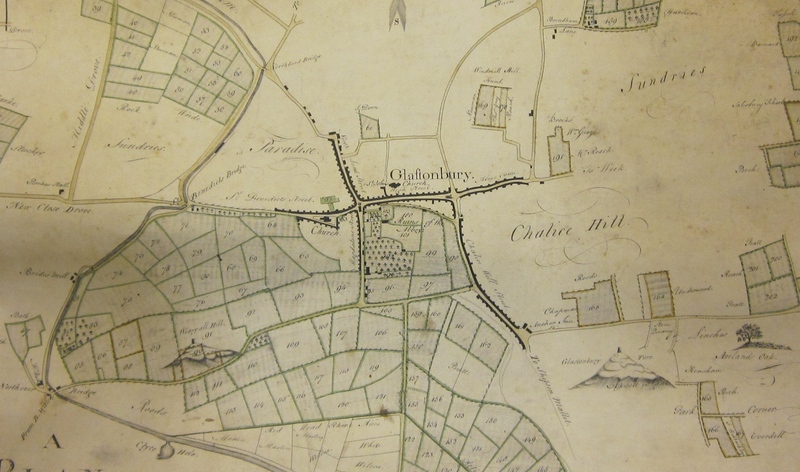 The estate is made up of the abbey enclosure, the deer park with Wearyall Hill in it, Vineyards to the south of the Old Street Road (Roman Way and Hill Head), then Reedmeed, Southfields and Actis (from Cow Bridge to Plunging). Other pieces of land are at Brides Mill (Beckery), New Close, Backwear, Brindham and parts of the Norwood Deer Park as far as Splotts Moor on the parish boundary with North Wooton.